The Indian camp is blooming with confidence at the moment and why not? For long their bowling has been a major disappointment but in the past year or so, it seems to be their strength. 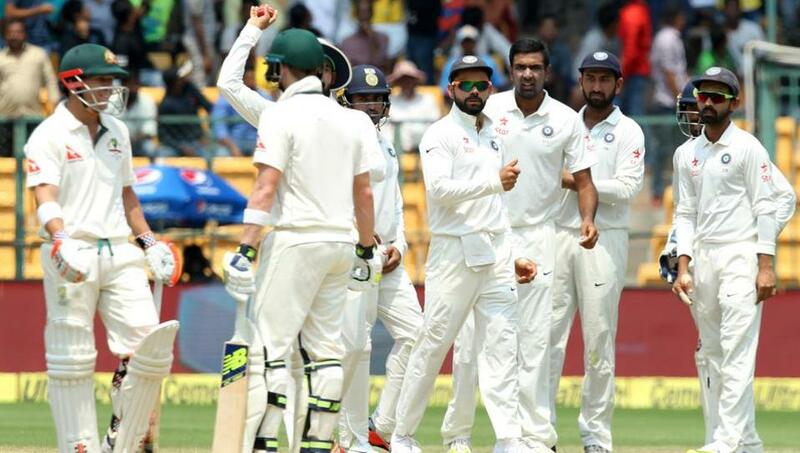 India’s bowling was the only aspect holding them back from winning a Test series Down Under. India’s bowling has been top-notch in the past year, picking up 197 wickets sitting only second to England’s 213. The Indian bowling attack has picked up all the 20 wickets in a test match twice this year and it remains to be seen if they can repeat the same when they take on the Aussies in the Border Gavaskar Trophy. However, history would tell an Australian fan that they are pretty safe and the numbers are in their favor too. When it comes to statistics regarding the best averages and strike rates (min. 2000 balls bowled) Ishant Sharma and Ravichandran Ashwin, two of India’s leading bowlers are sitting at the bottom of the list. Ashwin, on the other hand, managed 21 wickets at an average of 54.71 and economy of 3.38. So while Ishant manages a wicket every 17-and-a-half over in Australia, Ashwin picks a wicket every 15-and-a-half over. On the other hand, the leader of the pace attack, Bhuvneshwar Kumar has only played only one test Down Under and he finished with match figures of 1/178. These are some worrying numbers for India but, history can’t depict the future results and India will be eager to bury the past to start afresh. The first Test starts on December 6 in Adelaide and the Indian camp looks in a pretty good space at the moment. The Australians need to be wary of the potent pace attack that the visitors posses.